Different colors patches make dresses extremely beautiful. Contrast of yellow and blue color patches very delighted. The base of lehenga is in yellow color and patches are in blue color and on patches beautiful embroidery and stones are attached with it. The lower part of lehenga is embellished with patches and the upper part of lehenga is plain. The fabric has been used in doted jamaver stuff. 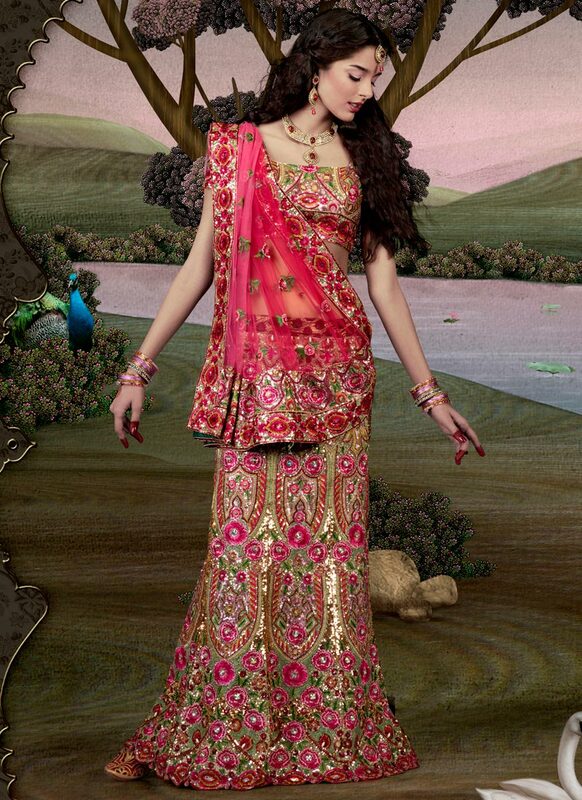 Green and maroon patches of lehenga is looking stunning the lower part of lehenga decor with stones, Cora and dupka. The dupata of this lehenga is nicely decor all around its border with patch and rounded patron have been sprinkled on dupatta.